LONDON - Business leaders in the U.K. and beyond warned Wednesday of catastrophic job losses and chaos at ports if the country does not agree terms for its withdrawal from the European Union, turning up the heat on politicians to deliver clarity after Parliament narrowly voted to keep the government of Prime Minister Theresa May. 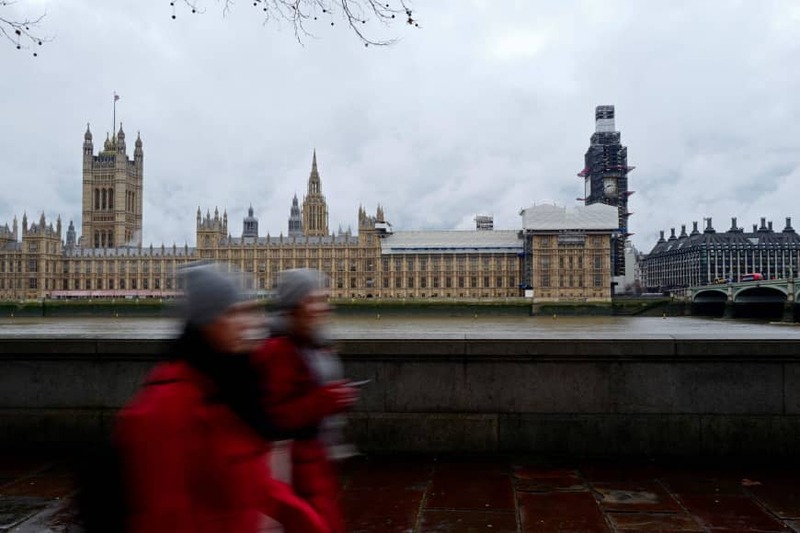 Although Wednesday’s no-confidence vote left May in office, she saw more of her power ebb away as she battled to keep Brexit on track after lawmakers demolished her EU divorce deal. Caught between the rock of her own red lines and the hard place of a Parliament that wants to force a radical change of course, May promised to hold immediate talks with leaders of opposition parties and other lawmakers to find a way forward. Legislators ripped up May’s Brexit blueprint Tuesday by rejecting the divorce agreement she has negotiated with the EU over the past two years. That it would lose was widely expected, but the scale of the rout — 432 votes to 202, the biggest defeat for a government in the U.K.’s parliamentary history — was devastating for May’s leadership and her Brexit deal. The subsequent opposition motion seeking to topple her government and trigger a general election was narrowly defeated, by 325 votes to 306. The government survived with support from May’s Conservative Party and its Northern Irish ally, the Democratic Unionist Party. Many pro-Brexit Conservatives who had voted against the prime minister’s EU deal backed her in the no-confidence vote to avoid an election that could bring a left-wing Labour government to power. Labour’s finance minister-in-waiting, John McDonnell, said May could eventually get a deal through parliament if she negotiated a compromise with his party. The Brexit agreement rejected Tuesday would have secured tariff-free trade and safeguarded just-in-time cross-border supply chains, leaving Britain at risk of leaving the bloc on March 29 without a framework. From Channel Tunnel operator Eurotunnel to Scottish whisky distillers, firms called for urgent and decisive government action and warned of the consequences of a “no-deal” Brexit. Japanese companies are particularly concerned about possible supply-chain disruptions that will have a major impact on their operations in Europe. Toyota Motor Corp., Honda Motor Co. and Nissan Motor Co. assemble vehicles in Britain and made over 800,000 units together in 2017 — about half of all vehicle output in the country. The three automakers export finished vehicles to the EU, where they procure auto parts for supply to their U.K. plants. “A no-deal Brexit will lead to plant suspensions within 24 hours,” a Toyota official said, expressing concerns about possible supply-chain snags. Honda plans to suspend production at its plant in southern England for six days in late April to prepare for a possible delay in parts supply, apparently in consideration of the Brexit deadline at the end of March. At Ford Motor Co., Chief Financial Officer Bob Shanks said Wednesday: “Ford continues to view a no-deal exit as the least likely outcome given how damaging it would be, but we recognize the situation is highly uncertain after yesterday’s vote. We are urging the U.K. government and parliament to work together to avoid the country leaving the EU on a no-deal, hard-Brexit basis. … Such a situation would be catastrophic for the U.K. auto industry and for Ford’s manufacturing operations in the country,” Shanks added.Volkswagen said in an emailed response to a question about its plans that its U.K. business has made additional provision for the stocking of new vehicles at and close to its import centers, and has also made increased provision for the stocking of parts. Hitachi Ltd. expects its railway car factory in central U.K. to operate fully for the time being, backed by robust demand. But a Hitachi official said the company is looking at mid- and long-term risks. “We’re examining impacts on our business in terms of business climate, securing human resources and currency fluctuations,” the official said. Banking groups, whose European bases are mainly located in the U.K., are preparing for Brexit as well. The EU has a system that allows financial companies to operate across the region if they gain approval in one EU member country. Sumitomo Mitsui Financial Group Inc. is set to open a subsidiary in Germany by the end of March. Japan’s government will make all-out efforts on information-gathering and analysis and provide information to Japanese firms and keep them updated, officials said. Chief Cabinet Secretary Yoshihide Suga said Wednesday that the government will monitor related developments, listen to companies operating in the U.K. and take full measures to prepare for a possible no-deal Brexit. The Japanese Embassy in the U.K. plans to hold an explanatory session for Japanese firms operating there as early as next month. A disorderly Brexit would plunge the U.K. into recession for at least two years and lop a half a point off economic output for the rest of the EU, Deutsche Bank Chief Executive Christian Sewing has said. And freight and logistics firms predicted border chaos, with Jens Bjorn Andersen, head of Danish freight company DSV, saying customs checks on every truck crossing the English Channel could lead to 80-mile (130 kilometer) traffic jams. Dover handles 17 percent of the U.K.’s goods trade, with up to 10,000 trucks a day passing through with everything from food to medicines. Logistics giant Deutsche Post said it had opened an office in the English port of Southampton and had 450 customs specialists advising clients in case of problems at Dover. Without clarity on the next steps for the country, it cannot put any of its contingency plans in place, said Deutsche Post, which employs 54,000 people in the U.K.
Germany’s chemical and pharmaceutical industry association (VCI) called for interim solutions, in particular to ensure the supply of medicines. “A disorderly Brexit would create such a complex situation that it is impossible for companies to prepare for all eventualities,” VCI Managing Director Utz Tillmann said. Belgium’s finance minister told Belgian companies to step up their plans, with figures currently showing that only one in five are ready for the customs arrangements that could apply for trade with the U.K. Representing Dutch farmers and agricultural producers who export goods worth more than €8 billion ($9 billion) a year, LTO Nederland said unhindered trade was crucial and called on the Dutch government to offer practical solutions. “Whether it be manufacturing, agriculture or services, across the piste we rely on trade. We don’t have a massive domestic economy. The reason a no-deal Brexit is so scary is because tariffs on everything are highly punitive under WTO (World Trade Organization) rules,” said Andrew Jackson, head of fixed income at fund manager Hermes Investment Management. Swiss ground services and cargo-handling business Swissport Group said a disorderly Brexit could further tighten the U.K.’s labor market, which has already seen fewer EU candidates entering since the 2016 referendum and where a workforce shortage is driving up labor costs in some parts by as much as 10 percent. 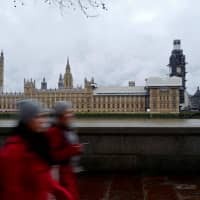 U.K. share prices were spared heavy losses as analysts said the risks of further deadlock were already priced in and some bank stocks even gained slightly, suggesting optimism for a parliamentary compromise some investors such as David Roberts, co-manager on the Liontrust Strategic Bond fund, said. “There is still a long way to go, but hopes of a mutually beneficial solution are growing,” he said.